Now that Sebastian likes reading chapter books with me at night, we need an easy place to store them. 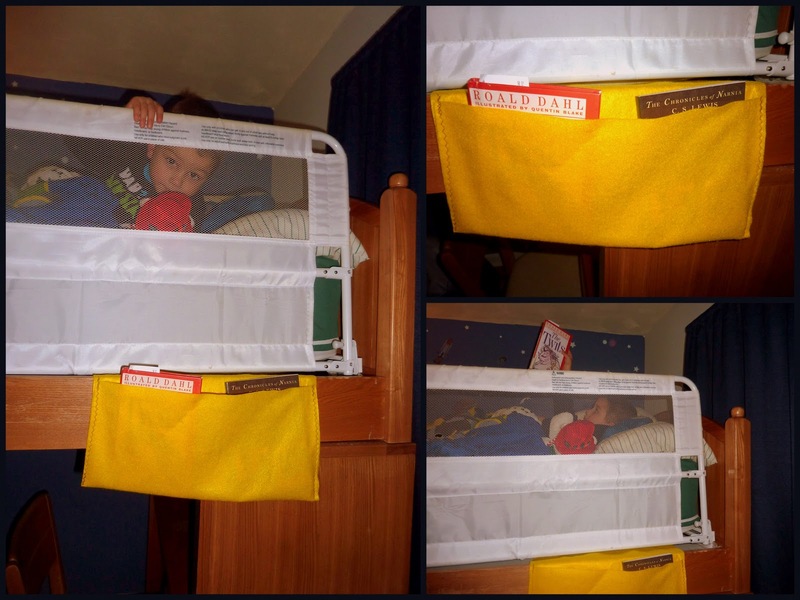 This little pocket took about 30 seconds to make, and it is perfect for a loft bed since we don't have a side table on stilts. I had seen this idea somewhere, perhaps Disney's Family Fun Magazine (which is my favorite magazine EVER). I don't know why I didn't do it sooner. It's just a long strip of felt, folded and sewed on the edges. You stick it under the mattress to keep it in place. So easy! The book we are reading right now? The Twits by Roald Dahl. Sebastian thinks it is funny and the chapters are short enough that we can read 3 or 4 of them in a night. The illustrations are also great for him.